As Metro’s leaders wrestle anew with the question of how to bring riders back to the troubled transit service, Northern Virginia officials are offering their own suggestions: focus on reliability, and create new fare card plans to entice riders. In a new report to Gov. Ralph Northam and the General Assembly set to be considered tonight (Thursday), the Northern Virginia Transportation Commission plans to urge Metro to use those strategies to boost ridership, and put WMATA on sounder financial footing in the process. The document is the first such set of recommendations delivered to state lawmakers from the regional transportation planners at the NVTC, as part of the new oversight powers the group won through legislation to provide Metro with dedicated state funding. Notably, however, it does not include any recommendation that Metro increase service to bring back riders. The push for service boosts, long backed by transit advocates, has become a particularly hot topic in recent days, after the Washington Post uncovered an internal Metro report insisting that service changes are the surest way for reversing WMATA’s declining ridership. Members of Metro’s Board of Directors, including Arlington County Board Vice Chair Christian Dorsey, expressed no such certainty on a path forward when questioned by the Post, and said they had no knowledge of the internal report on service increases. But the NVTC report represents a chance for regional leaders — including NVTC commissioners like Dorsey, County Board Chair Katie Cristol and Board member Libby Garvey — to offer some of their own thoughts on the matter to Metro and its overseers. The group’s “2018 Report on the Performance and Condition of Metro” notes that just 79 percent of trains arrived at stations “at or close” to their scheduled times in fiscal year 2017, underscoring the NVTC’s recommendation that improving reliability should be WMATA’s prime long-term focus in bringing riders back to the service. To do so, NVTC expects the system will need to devote plenty of cash to capital projects. 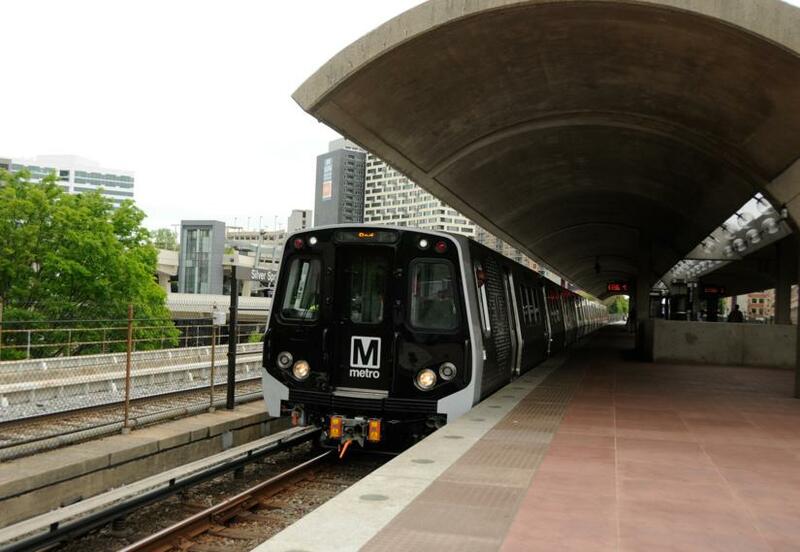 The report deems the $500 million in annual dedicated funding that Metro will now receive from D.C., Maryland and Virginia “an invaluable tool” in achieving its maintenance goals. Even still, the group notes that Metro reported an “unconstrained capital need” of $25 billion in projects in 2016, and will need to focus on the area for years to come to catch up on many years worth of work. Examples could include the expansion of passes designed for college students, or new partnerships with hotels and conventions “to provide fare products directly to visitors as a part of hotel and/or convention registration.” Metro’s internal report also cites the importance of developing new fare pass options, recommending strategies like offering shorter term passes and making all passes useable on both Metro trains and buses, but those options are listed firmly below the priority of increasing service. Yet the NVTC expects that exploring those fare pass strategies would also improve fare collection and boost Metro’s coffers, another key point of emphasis of the NVTC report. The document suggests that Metro “develop the next generation of fare collection technology” in the long term, and test methods for “off-vehicle fare collection” on Metrobus routes to juice revenues. The report also includes recommendations on how Metro can control costs, with a special focus on labor costs. With a new Government Accountability Office analysis of WMATA’s pension liabilities igniting new debates on Metro’s relationship with its unions, the NVTC is urging Metro’s board to consider private contracting in select situations and other collective bargaining tactics to keep labor costs down. Metro only recently cooled tensions with its largest union, which briefly threatened a strike this summer.